Ranjbari Baglou, S., Tohidi Moghadam, T., Ranjbar, B. (2016). Biofunctionalization of Gold Nanorods: A Comparative Study on Conjugation Methods for Fabrication of Nanobiosensors. Biomacromolecular Journal, 2(2), 191-199. Saeede Ranjbari Baglou; Tahereh Tohidi Moghadam; Bijan Ranjbar. "Biofunctionalization of Gold Nanorods: A Comparative Study on Conjugation Methods for Fabrication of Nanobiosensors". 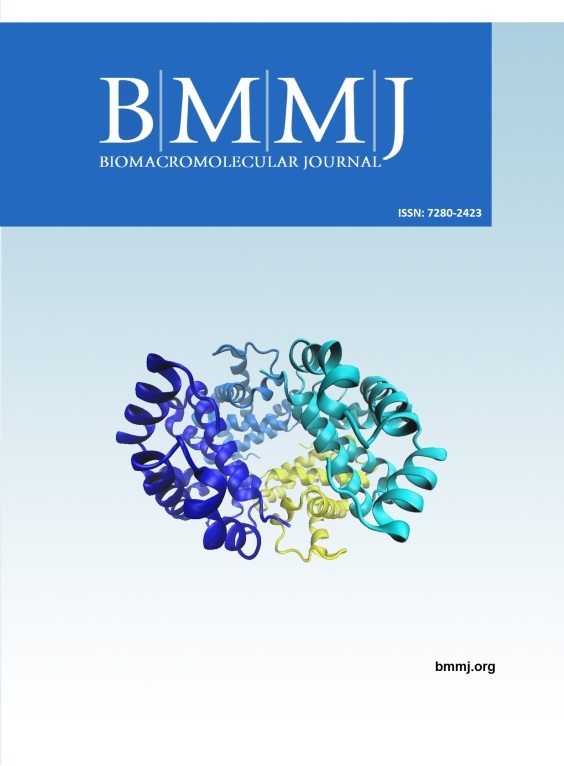 Biomacromolecular Journal, 2, 2, 2016, 191-199. Ranjbari Baglou, S., Tohidi Moghadam, T., Ranjbar, B. (2016). 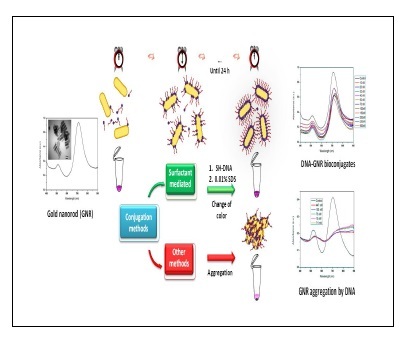 'Biofunctionalization of Gold Nanorods: A Comparative Study on Conjugation Methods for Fabrication of Nanobiosensors', Biomacromolecular Journal, 2(2), pp. 191-199. Ranjbari Baglou, S., Tohidi Moghadam, T., Ranjbar, B. Biofunctionalization of Gold Nanorods: A Comparative Study on Conjugation Methods for Fabrication of Nanobiosensors. Biomacromolecular Journal, 2016; 2(2): 191-199. Gold Nanorods have promised variety of applications in biomedicine and biosensing. As a fruitful candidate for early detection and imaging, these plasmonic nanoparticles have been utilized for diagnostic applications of interest. However, prior to design and fabricate SPR-based nanobiosensors, the type and nature of conjugation with biomolecules would be of utmost importance. Herein, four strategies have been used for biofunctionalization of gold nanorods with a specific oligonucleotide sequence, i.e. “Direct”, “Salt-aging”, “Rapid Modification at Low pH” and “Anionic Surfactant Mediated” methods. The nanoprobe, biofunctionalization process and probability of unspecific aggregations after purification have been investigated by monitoring the characteristic transverse and longitudinal surface plasmon resonance bands of the nanostructure. Formation of the GNR-DNA nanobioconjugate was traced by FTIR spectroscopy. Comparison of the four conjugation methods showed that using anionic surfactant (SDS) would be useful in efficient biofunctionalization of GNRs, without perturbation of its rod morphology. Results of this effort could pave the way for design and fabrication of SPR based nanobiosensors in the upcoming optical diagnostic strategies.